Most people incorrectly assume that a Workers’ Compensation claim will shield an employee from any backlash from their company, but in many cases it is legally acceptable for an employer to terminate an employee while they are out of work and under the care of a company doctor. When you’ve been fired or laid off from work while receiving Workers’ Compensation temporary disability benefits, it’s important to understand the explicit reason you are being let go. In New Jersey, it is illegal for an employer to retaliate against you for filing a Workers’ Compensation claim. It’s important that your employer give you a valid reason for terminating your employment, and these reasons cannot involve your work-related claim or injury. Every circumstance is different, but you need to consider seeking legal counsel when you believe your employer has unfairly retaliated against you for pursuing a Workers’ Compensation claim. Returning to work may be further complicated when an insurance company doctor declares that you are fit to return to work when you don’t feel ready yet. 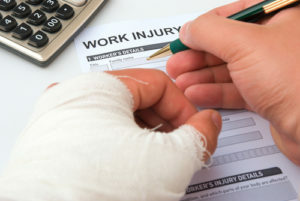 In other cases, your injury may be preventing you from working but your Workers’ Compensation claim was denied by your employer. If these situations apply in your circumstances, then an attorney may be able to help you determine your legal options. The trusted Workers’ Compensation attorneys at TeamLaw will help you discover your legal options, work through your Workers’ Compensation claim and protect your rights when you feel your employer has treated you unfairly. Our online contact form should be used to reach out to our firm. Briefly explain your legal concerns and provide your contact information to hear back from our experienced Workers Compensation attorneys as quickly as possible.